Look, I understand. The challenge of rebooting one of the most beloved TV series of all time — of filling the shoes of the incredibly talented Mr. Serling — should give any sane person pause. In fact, I think it’s fair to say it really can’t be done. My inner cynic is grumbling that CBS simply wants to cash in on Serling’s name and milk its venerable “Twilight Zone” property some more. So why shouldn’t I just send it to the cornfield now, sight unseen? A couple of reasons. One is quite practical: I like seeing TZ get a boost. It’s good for business, you could say. If you’re a regular reader of my blog and/or follow my Twitter page, you’re already a fan of this remarkable series. But not everyone is. Sure, TZ is an absolute classic. The very words “Twilight Zone” are part of our lexicon, a phrase used daily even by people who have never seen the show to describe anything weird or unexpected. But that doesn’t mean it can’t die, so to speak. Yes, it’s lasted almost 60 years so far. Well, I want to see it last another 60 — and beyond. That can’t happen unless people watch it. And there’s no guarantee they will ad infinitum. I’m like a lot of fans. 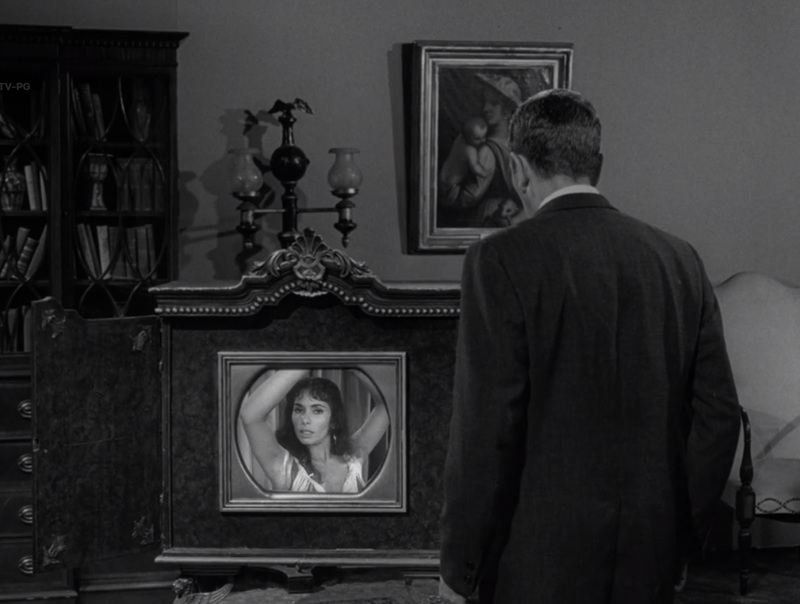 At some point when I was a kid, I was clicking around, found a TZ rerun, and in no time, I was hooked. But that’s the thing — I found it because it was there. What happens in an age where we have dozens of streaming services, hundreds of channels, and millions of websites? The chances of just stumbling across TZ become less and less likely. “It’s okay, I have my discs,” some fans will say. Good! I do, too, and I enjoy them immensely. But a lot of people don’t even own a disc player anymore, and even if they do, they default to what’s convenient. For now, TZ is streaming on all three of the services I just mentioned (minus Season 4 on Netflix). But is even The Twilight Zone untouchable? Maybe, but I think it’s a mistake to assume it is. So for me, part of the value of a reboot is that it raises awareness, so to speak. It happened the first time, in fact. I know numerous fans who saw the ’80s TZ first when they were kids, and only later caught the original. That goes for some filmmakers who caught the TZ bug then, too. We can dismiss the reboots all we want, but they do help keep the Twilight Zone name alive. A second reason that I’m reserving judgment on the reboot: Why not give it a chance? Sure, the bar is dauntingly high. No one knows that better than I do. 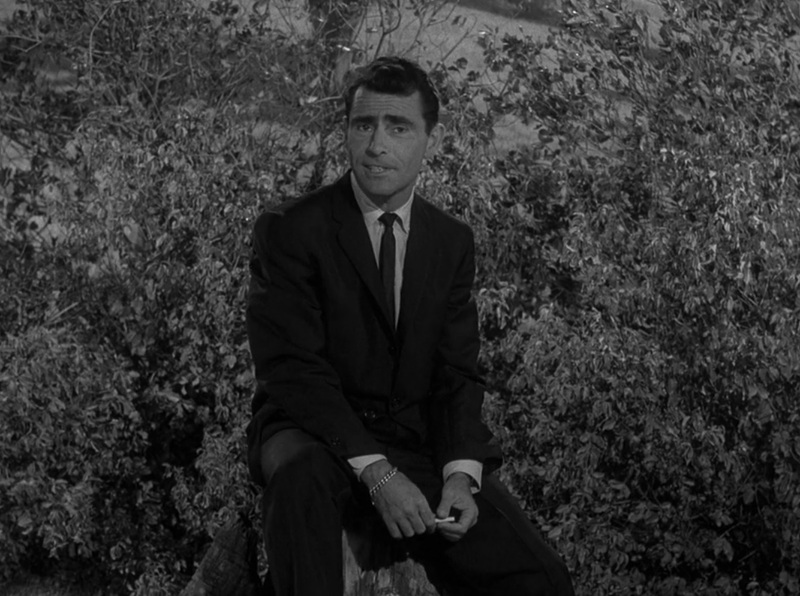 But rather than think of it as someone trying to BE Serling, why not think of it as someone paying tribute to Serling? Night Gallery‘s full name was “Rod Serling’s Night Gallery”. Well, I like to think of the upcoming reboot as “Jordan Peele’s Twilight Zone”, not an attempt to redo “Rod Serling’s Twilight Zone”. If famous classical composers could compose “variations on a theme” by previous composers and come up with some interesting work, I think we can give Peele a shot. And who knows? I think there’s a good chance we’ll be pleasantly surprised. Peele is a very talented filmmaker who’s made it clear what a big TZ fan he is. (If you haven’t seen “Get Out” yet, I recommend it.) I’m sure he’s giving the reboot his all, so I intend to watch it with an open mind and see what he comes up with. Posted on 01/31/2019, in Twilight Zone and tagged CBS, Jordan Peele, Rod Serling, Twilight Zone. Bookmark the permalink. 24 Comments. Glad it finally worked for you. This post definitely got a bit wonky for some reason. I wound up having to republish it. I’m opting for cautiously optimistic as well. I think a new TZ series has great potential for success if it avoids the pitfall of nostalgic retread in favor of establishing its own identity. They’re giving TV Creators far more artistic freedom than they did when the previous reboots came out. Both of which I enjoyed, more so the 80s incarnation than the one after it, but based on interviews I’ve read, the people behind this one seem committed to making a quality show, and I don’t think peele takes the honor that’s been bestowed upon him lightly. 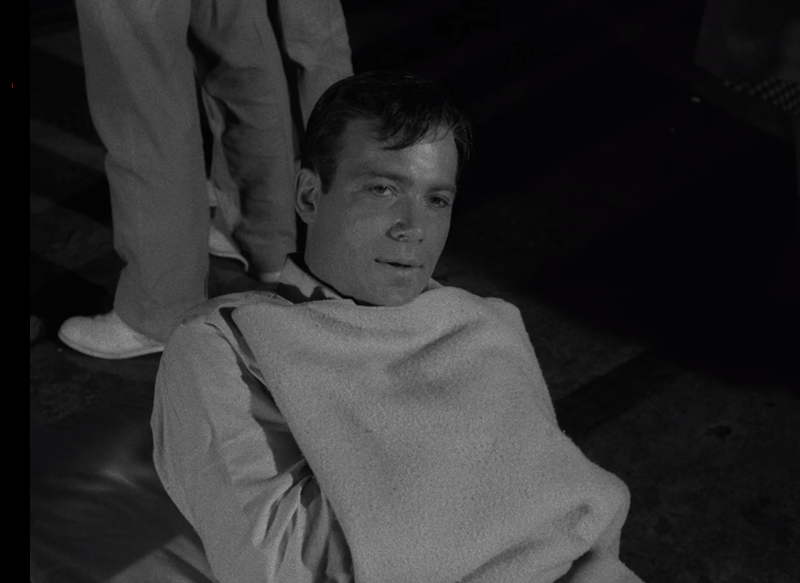 So at the very least I’m hoping for a solid anthology series, TZ or not. If it’s a disappointment, the name still gets thrust into the public’s consciousness again, like you said. Exactly. I’m really hoping that we wind up with a solid series that can be enjoyed no matter what it’s called. And it if causes some people who’ve never seen the original TZ to go check it out, so much the better. Well, I just saw the trailer with the first footage and I’m impressed by the genuinely mysterious, subtle vibe it exudes. I’m willing to give it a try! I just wish they’d use an original name and stop trying to build off previous successes. But…I’m open. Me too! I’m sure they want the built-in buzz that comes with the TZ name, though. Oh, well. Did you see the cool Super Bowl ad? Yes, I did. Looks good! Fantastic post, Paul. It’s good to know there are still cool-headed, even-handed folks in fandom! By its fruits you shall know it… I do wish CBS would put this on the broadcast network (although, in fairness, I am going to subscribe again to All Access some day because of all the Star Trek content…), but, as you say, any exposure for the Zone is good exposure. Speaking of which, I only heard yesterday that there is been a stage show based on the series running in the UK for a few years. Do you know anything about it? Have you seen it? The reviews seem to be mixed at best. 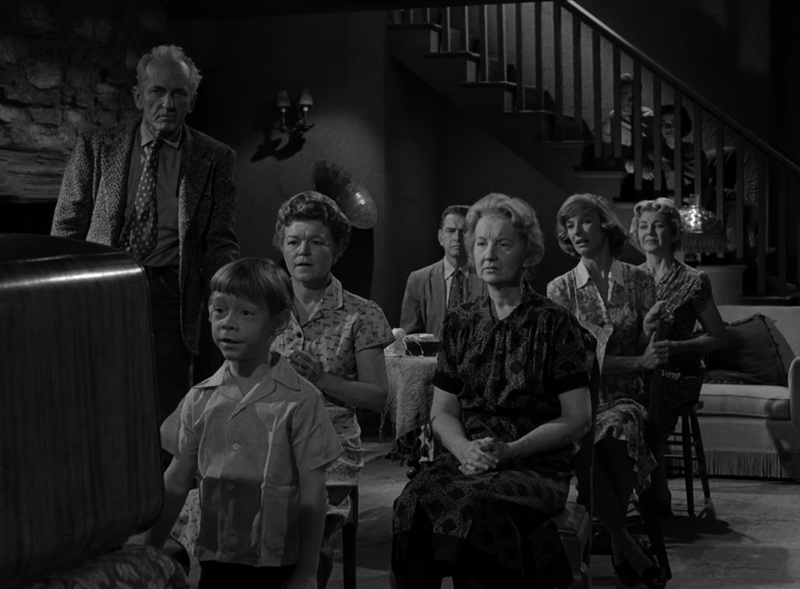 But it’s great Serling’s creation is still inspiring creativity almost 60 years later. I, too, wish they’d put this on regular broadcast TV, but I suppose it’s a compliment that they feel a rebooted TZ can draw in enough subscribers. As for the stage show, yes, I’ve been promoting it on Twitter and interacting with people who plan to go (https://twitter.com/TwilightZoneLDN). I wish it were close enough so I could go! I tend to agree, Paul. But, on a sad note, I didn’t know Night Gallery was leaving Hulu. I just started watching. It was bad enough that they didn’t have season one. I’ll give this version a shot. Do I need CBS All Access to view this? Yeah. I hated to see it go. :-/ At least it’s still on DVD, if you’re game. As for the TZ reboot, yes, it seems you’ll have to be a CBS All-Access subscriber to watch. At least you can start a free trial to check it out. Great post! It’s hard not to be leary of a reboot, but I personally think it’s in great hands with Jordan Peele. It’s definitely worth a shot. And there’s reason for hope. It will never be THEE Twilight Zone. You’re right — without Rod Serling himself, it’s just going to always be something else. But I do love people trying to imitate the style of the Twilight Zone with modern storytelling. 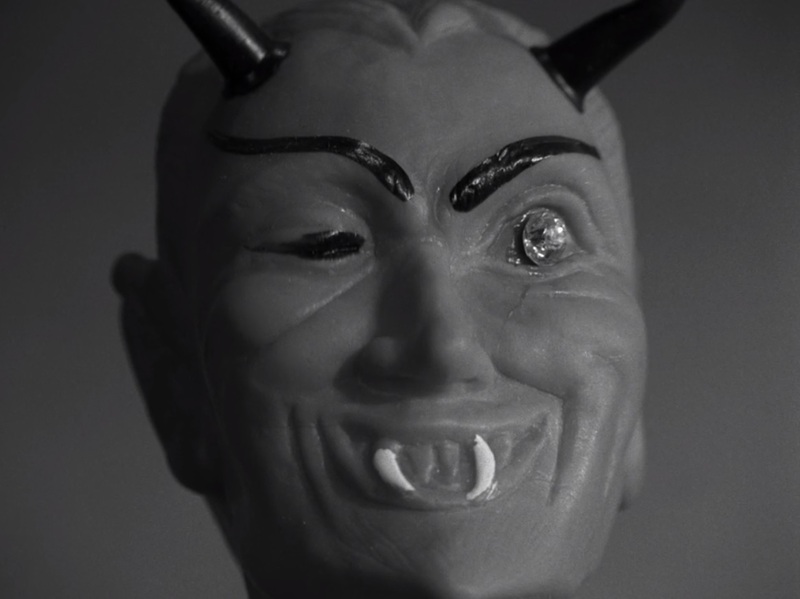 I, myself, have a short film coming out this year that is my own homage to the original TZ that influenced me so much. Bottom line — anything that keeps bringing awareness of the original series is a positive thing. Amen! Sounds like we’re on the same song sheet, Anthony. Looking forward to your film, so please keep me updated. Good luck! Excellent post. I’m in the same camp. I’m wary, but I want to give it a chance and see what Jordon Peele brings to the table for TZ. If it’s only on CBS Access I may not get a chance to see it though. I don’t subscribe to Network channels. We can liken TZ to a real Universe. The Twilight Zone, like our universe, is forever expanding. So some versions of TZ, like stars, will appear for a little while and then blink out, and there will be many new stories created. But the original is always at the forefront. As you and others said, anything that brings attention to Serling and the original is a positive thing. Thanks! And yes, while I can certainly understand people being wary, I don’t see why anyone would refuse to even check it out. Of COURSE the original is untouchable. We can all agree on that. But that doesn’t mean we can’t give someone like Peele a chance at “reimagining” our favorite show. It could be very enjoyable in its own right. Perceptive and informative, as always. Thank you. I just completed (devoured) “Serling: The Rise and Twilight of TV’s Last Angry Man”. Excellent biography. Tragic life at many levels. It seems Serling lived his life in the Twilight Zone. Only one who has struggled through so many pathologizings can understand and mediate the TZ as he did, and does. And, as a student and teacher of Depth Psychology, I see Serling as America’s greatest purveyor of the imaginal, archetypal realm. You’re welcome, Michael. Btw, I should caution you a bit with that biography. There are numerous factual errors in it. I’m not saying that he gets nothing right, but let’s just say you should take it with a grain of salt, especially when he’s speculating about Serling’s motivations or state of mind. I know everybody has some devils to wrestle with, but all too often, it seems, biographers feel they have to goose up the narrative with a bit of “dirty laundry” and rumor-mongering, and I really don’t think it’s healthy.